Will Trump's Vow to Cut Funding for Sanctuary Cities Affect Austin? A rally in front of Austin City Hall in support of the Austin immigrant community on November 13, 2016. 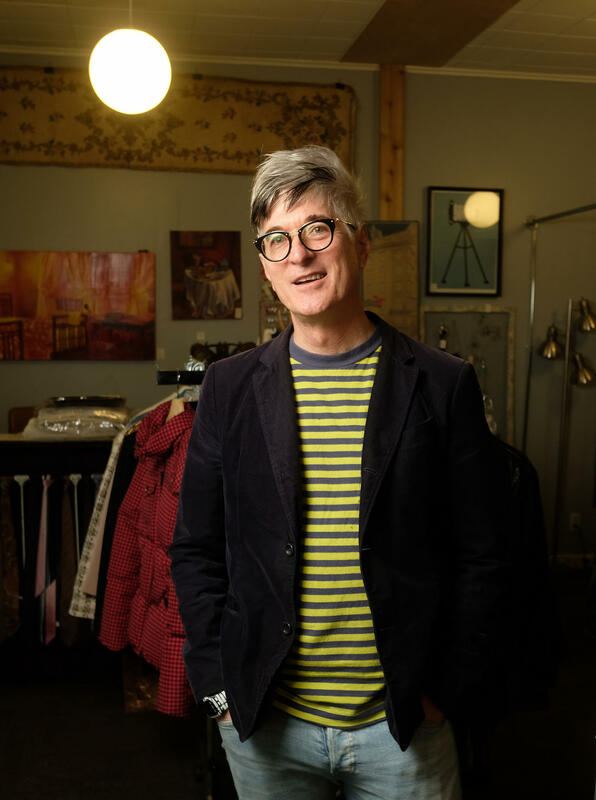 In a windowless office in a Northwest Austin thrift store, past several racks of high-end used clothing, Todd Logan pores over a list of names. “We had about 84 folks we were helping through our housing program,” he says. Logan is the director of client services at Project Transitions, a nonprofit that provides medical care and housing for people living with AIDS. He estimates that of the 84 people the group helped last year to keep or find housing, more than half were living on the streets. Todd Logan is the director of client services for Project Transitions, a nonprofit serving people with AIDS. All of the thrift store’s revenue goes to the nonprofit, but the organization also depends heavily on the slice of $1.1 million in federal Housing and Urban Development grants it gets through the City of Austin. “If we didn’t receive the HOPWA funding, we would have to close our doors,” Logan says, referring to the Housing Opportunities for Persons with HIV/AIDS program. That possibility is not so far-fetched. President-elect Donald Trump has said that in the first 100 days of his presidency he’ll cancel all federal funding to sanctuary cities. But what is a sanctuary city? The Austin City Council passed symbolic measures declaring the city immigrant-friendly and recently voted to begin subsidizing legal fees for immigrants. Other cities – like Philadelphia and San Francisco – have official policies instructing law enforcement to ignore warrantless requests to detain people over their immigration status. According to Elissa Steglich, a professor at the University of Texas Immigration Clinic, there’s is no formal definition of a sanctuary city. And without a formal definition, might Austin be considered one? Austin received nearly $43 million in federal grants this past year. And, while that’s just about 1 percent of the city’s budget, it pays for things residents rely on, like the dogs that sniff luggage at the airport, residential lead abatement and rental assistance. With so much potentially at risk, local leaders have kept the phrase “sanctuary city” out of their mouths. A few days after the election, Austin Mayor Steve Adler spoke to a crowd gathered outside city hall to show support for immigrants. When a reporter asked whether Austin is a sanctuary city, he talked around the phrase, invoking former Police Chief Art Acevedo. Is Austin a Sanctuary City? Good Question. Attempts to eliminate so-called sanctuary cities has begun anew with another Texas legislative session and new national leadership that has singled out these municipalities. And while Austin is often labeled a sanctuary city, it’s not clear that the city indeed is one. President-elect Donald Trump told "60 Minutes" in an interview this weekend that he plans to immediately deport roughly two to three million undocumented immigrants upon taking office. That announcement is something many immigrants here in Austin have been fearing since election night. On Sunday morning, hundreds of people gathered at City Hall to show support for the city’s immigrant community, where city lawmakers also pledged local support.